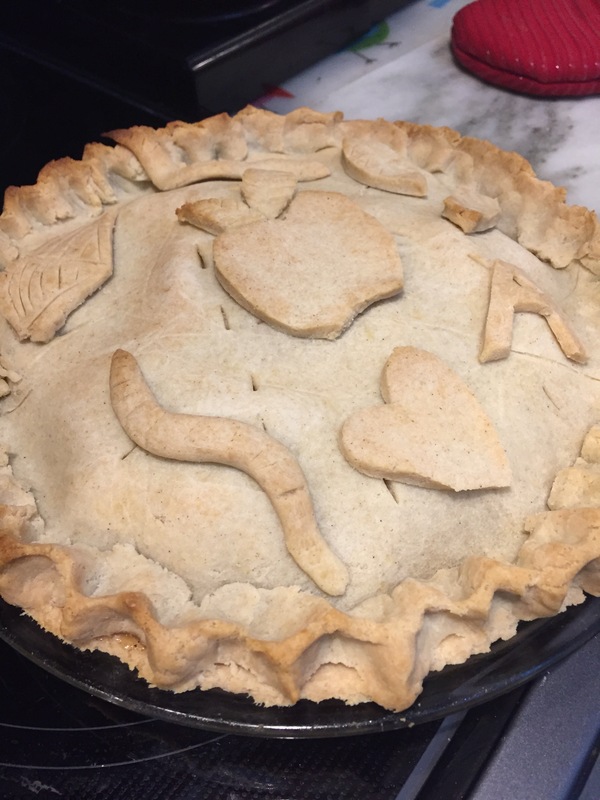 Apple season is upon us, and Liz and I love ourselves some apple pie. 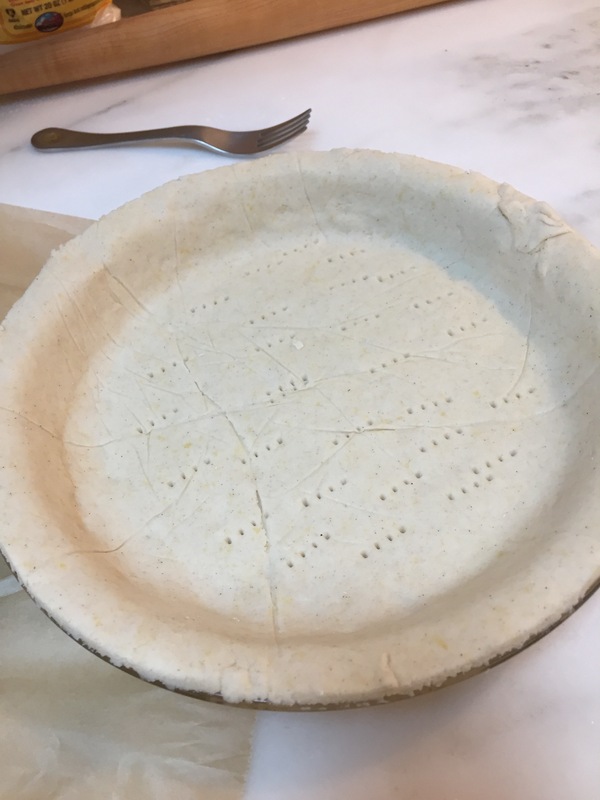 Problem is, most gluten-free crust options are way to fragile, taste like cardboard, are impossible to roll out, or all of the above. We decided to try a new recipe from A Little Insanity, and have gotten a pretty good result from it, after some substitutions. 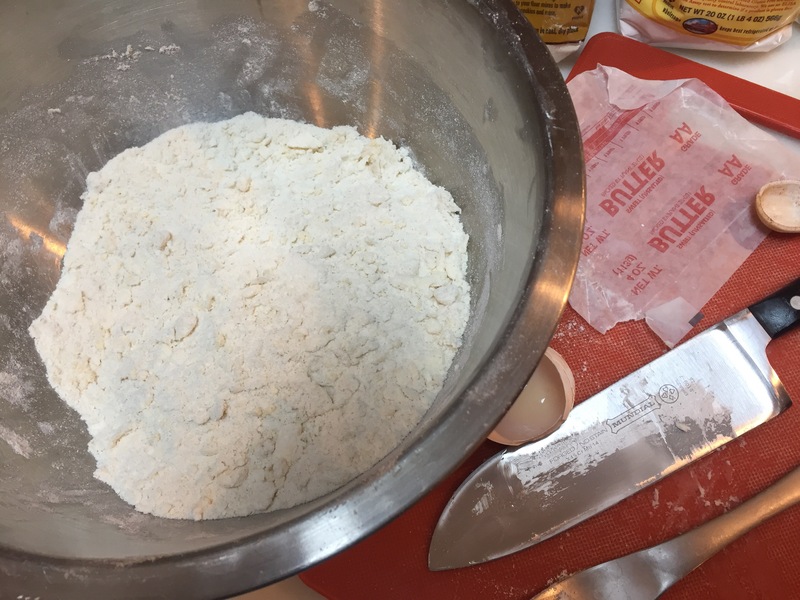 Our flour mix was 1 cup white rice flour, 1/2 cup tapioca flour, 1/2 cup sorghum and 2 tsp xanthan gum. Also, we used butter, the full amount of water, and we par baked the bottom crust for 5 minutes. 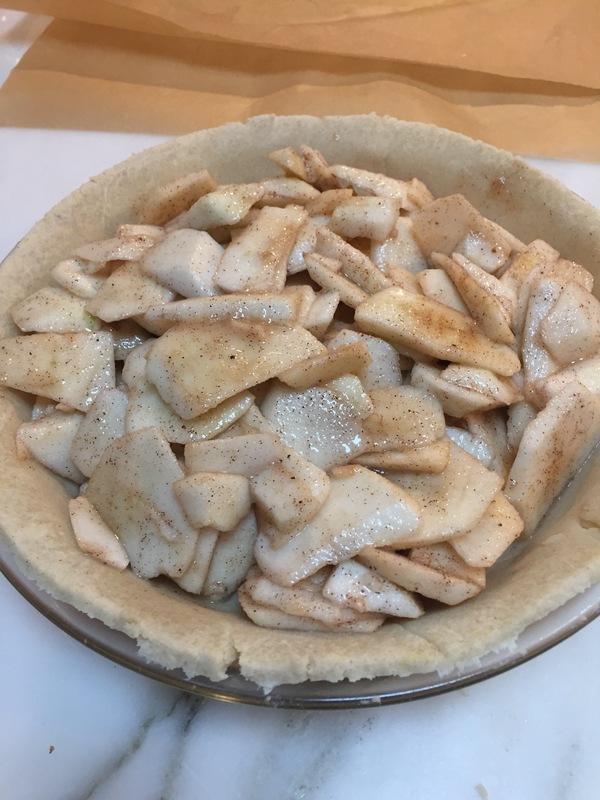 The major differences in this recipe compared to others I have used is the addition of the egg and the sugar. The dough was actually able to be handled! Other recipes are always too crumbly to do anything with, so this was a treat. I made fun cutouts for the top crust. Also, as a side note, I par baked the bottom crust due to my recent binging of The Great British Baking Show. I didn’t want a soggy bottom. 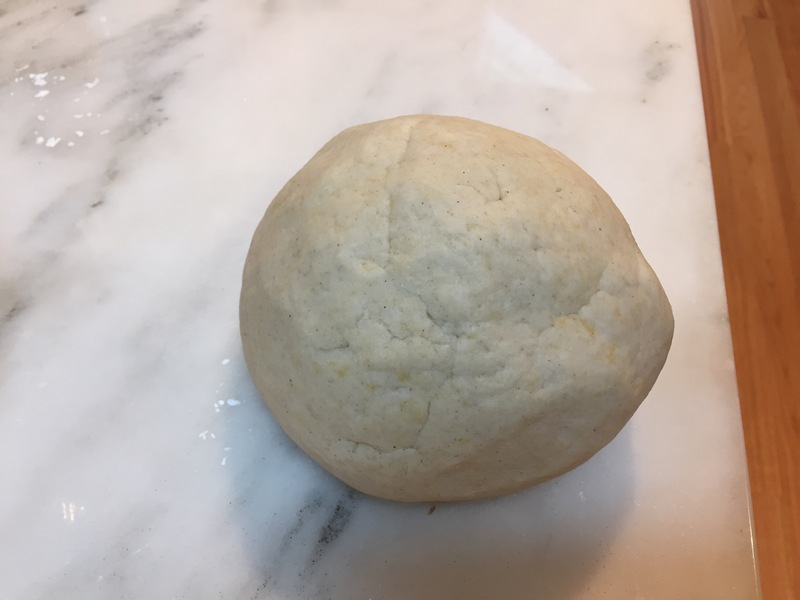 Now, I’ve found the same thing with pizza crusts – needs to stiffen up the bottom and solidify the whole crust to keep it from turning into a soggy mash with the addition of sauce, oil, and fresh veggies. The pre-bake is important for GF pizza too! Also, invest in a pizza stone, preheat that stone, and the bottom will crisp right up.